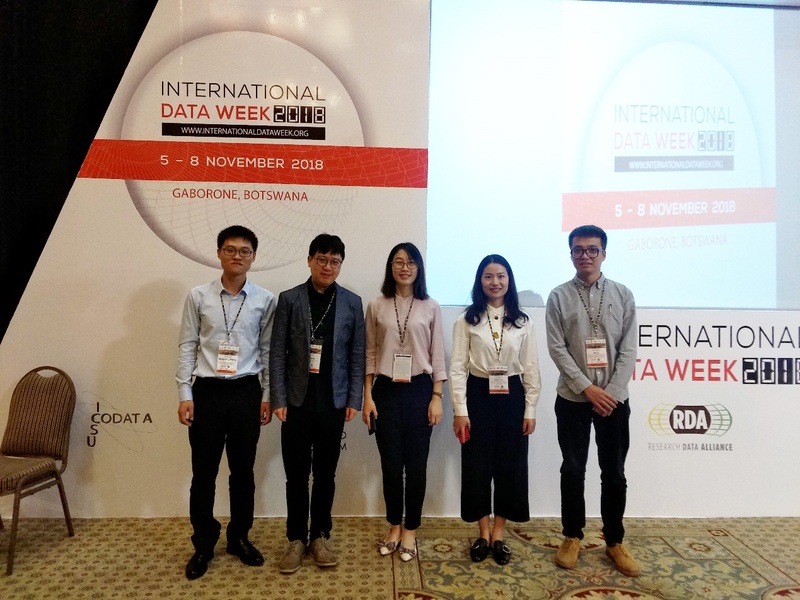 Disaster Risk Reduction Knowledge Service (DRR) team attended the International Data Week 2018 (IDW 2018) during 5–8th November 2018 in Gaborone, Botswana. Disaster Risk Reduction Knowledge Service (DRR) team attended the International Data Week 2018 (IDW 2018) during 5–8th November 2018 in Gaborone, Botswana. IDW 2018 was hosted by the Botswana Open Science and Open Data Forum and co-organized by the World Data System (WDS), the Committee on Data for Science and Technology (CODATA) and the Research Data Alliance (RDA). This landmark event addressed the theme of ‘The Digital Frontiers of Global Science’, encompassing the following themes: frontier issues for research in a global and digital age; applications, progress and challenges of data intensive research; data infrastructure and enabling practices for international and collaborative research. Yuelei Yuan, as a member of the DRR team, on behalf of Prof. Juanle Wang, the executive director of DRR, joined in the discussion focusing on the session Scientific Data Challenges for Sustainable Development, and showed the presentation of Disaster Risk Reduction Knowledge Service on Sustainable Development, which was composed of the background and mission of DRR, Methodology of DRR Knowledge Services, DRR Knowledge service applications online, Work plan in the near future. The conference, with the large scale, rich academic reports and profound content, attracted data scientists, industry leaders, entrepreneurs, policy makers and researchers from 66 countries around the world. On this conference, DRR team publicized the Disaster Risk Reduction knowledge Service System, which further enhanced IKCEST's international influence. Be logged in to post a comment!